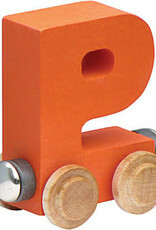 Bright Color NameTrain Letter Car P is crafted from locally sourced and sustainably harvested hard maple. Magnets allow you to attach cars to form names and words. 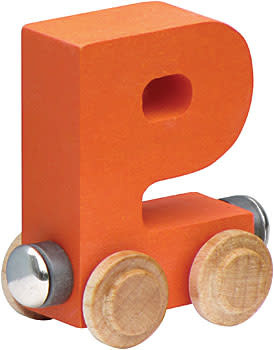 Each Bright Color NameTrain Letter Car is available in one of 6 colors: red, orange, yellow, green, blue, or purple. The Letter Car measures about 2-1/2" tall and about 2-3/8" long. Compatible with our and other wooden train sets. Non-toxic finish.